ECOMM CURRENT OPENINGS: Opening for E tender Executive in Dalhousie. 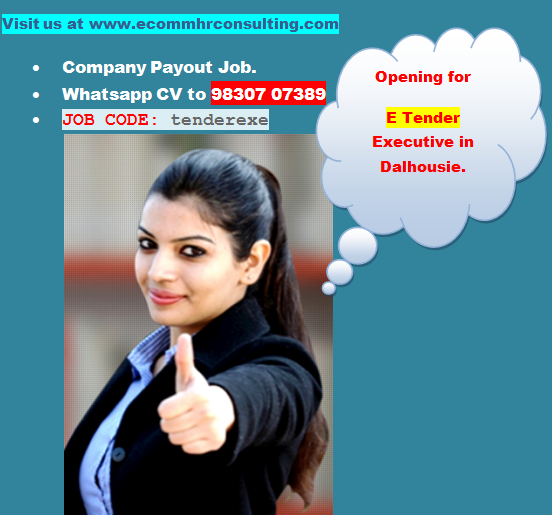 Opening for E tender Executive in Dalhousie. Managing the entire TENDER online. Searching for New Tenders online.